This entry was posted in production and sales and tagged press sales on January 9, 2015 by James Day. MINI has its best December of global sales. Sales were down slightly for 2014. Despite the change in the core MINI model this year, annual sales remained around last year’s record level with a total of 302,183 vehicles delivered to customers (prev. yr. 305,030 / -1.0%). Peter Schwarzenbauer, Member of the Board of Management of BMW AG responsible for MINI, BMW Motorrad and Rolls-Royce was particularly pleased with how the year ended for the brand. “MINI saw its best ever fourth quarter with sales up 17.2% (94,624 / prev. yr. 80,748). It was also a record December with sales increasing 20.7% compared with the same month in 2013 (36,773 / prev. yr. 30,455). Since coming fully onto the market, sales of the new third generation MINI 3-door and the brand new MINI 5-door have been very strong.” In December, sales of the 3-door were up 33.9% (16,418 / prev. 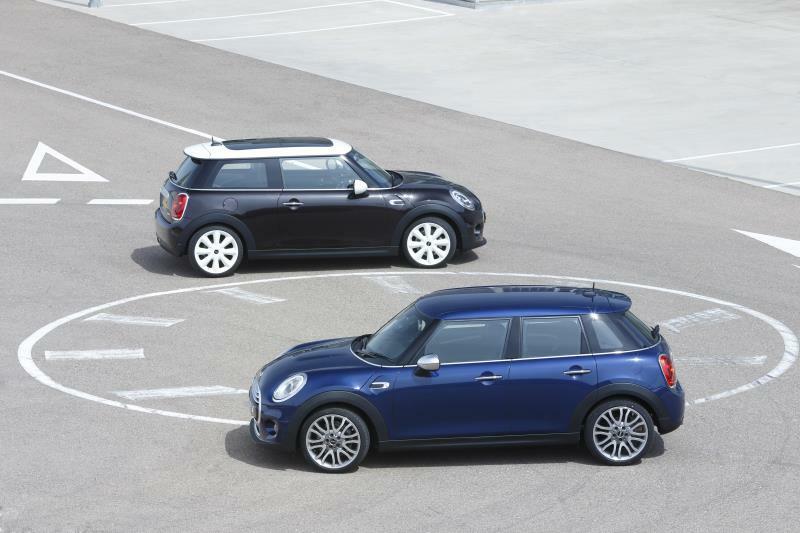 yr. 12,262) while a total of 6,954 customers took delivery of a 5-door MINI in the last month of 2014. The MINI Countryman saw sales grow 5.0% across the year (106,995 / prev. yr. 101,897) while deliveries of the MINI Paceman totalled 15,567 in 2014, an increase of 6.0% (prev. yr. 14,687).